Ski Butlers Copper delivers to all of Summit County Colorado, including Copper, Keystone, Breckenridge, Dillon, Frisco and Silverthorne. As featured in SKI Magazine, enjoy the first-class treatment of Copper's best ski rental delivery service! Let our experienced technicians provide you with a perfect fit. We bring everything you need - and that includes extra boots so you'll get that comfortable fit. We carry all the accessories you need so you'll be ready to cruise the slopes the very next day. 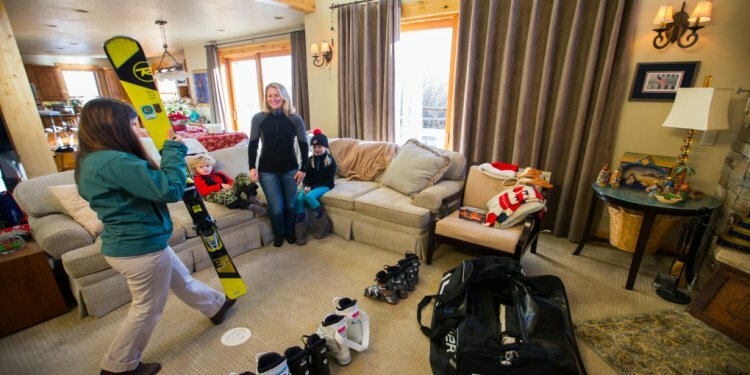 Don't waste a minute of your vacation in a rental line - we offer the latest equipment for the same or a lower price than many shops that offer Copper Mountain ski rentals! Need more info to help plan your Copper ski vacation? Click here for area resources on Copper, including Local Tips, Copper Mountain Resort Guide and the History of Copper. Click here for a trail map of Copper Mountain. Depending on how long you'll be staying, purchase a season or multi-day pass online in advance - you'll get great deals of over 40% off lift ticket prices at the window. Copper Mountain is set up so that runs are grouped by ability level. Beginners will want to start at the west side of the mountain from Union Creek base area. Intermediate terrain is best accessed from the Copper Village base area. For advanced and expert skiers, the high alpine bowls are where you want to be. In addition to the four lift-access bowls, Copper Mountain also runs complimentary snowcat tours up to Tucker Mountain, providing an in-bounds backcountry experience.